Welcome to our blog, At Home With Topsail! Here we will discuss the history of Topsail Island, the real estate market and area happenings around Topsail Island. Please feel free to comment, we love to discuss Topsail with you!!!! Lewis Realty Associates, Inc is proud to announced that on Friday, April 28, 2017 - Chris Rackley, President was awarded the Topsail Island Chamber of Commerce's Man of the Year award. The award is given each year with the winners being selected from chamber and community nominations. The strict criteria includes but is not limited to community, chamber and business involvement in the Great Topsail Island area that enhances an already great community. Rackley, also a past Realtor of the Year, said afterwards, "I am very proud to have this award and bring it back to the main Lewis Realty office to share with the staff. This award truly is also for them as well with all the great support and time they have given to the company's and community's goals. Without them, this would not have been possible". 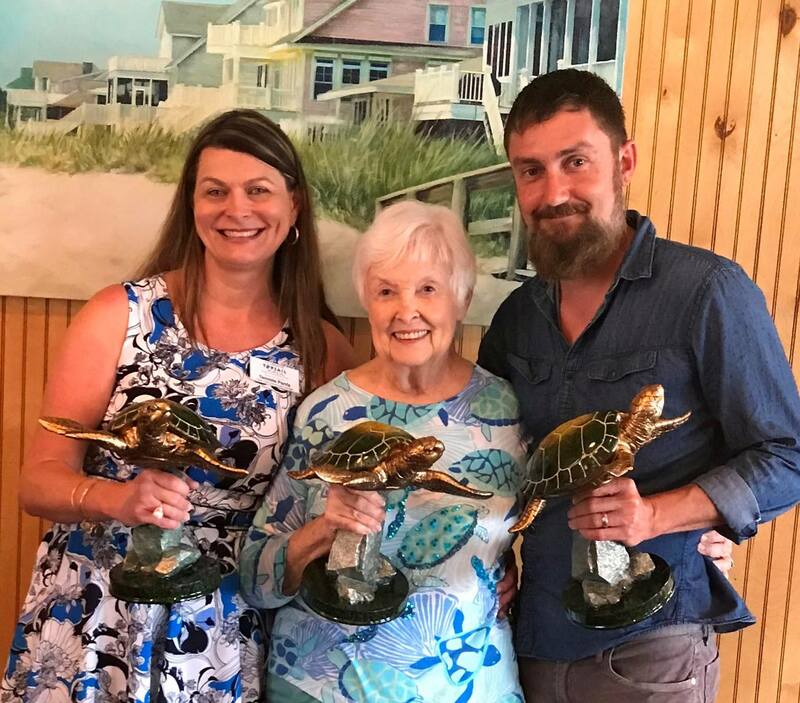 Jean Beasley, the director and founder of the Karen Beasley Sea Turtle Hospital in Surf City, was awarded the Lifetime Achievement award. Rackley said, " Ms. Beasley is a living legend and always comes to mind when thinking of Topsail Island. She has done much for the community and the endangered sea turtles." Doug Medlin, the current mayor of Surf City and owner of East Coast Sports, also won the Lifetime Achievement Award. Medlin has been a life long resident and local business owner of several businesses throughout the year and also served on the Town Council for many years. Rackley said, "I was very pleased to hear Mr. Doug received the Lifetime Achievement Award not only is he a great asset to the community he is a man of values and treats everyone more than fair." Tammie Parris won the Woman of the Year award for her tireless efforts with the Woman's Connect Program, The Topsail Island Chamber of Commerce and recently earning her college degree all the while having personal challenges of her own. Rackley said, "I did not have the pleasure of knowing Tammie personally but after hearing her story and her efforts she is very deserving of this award and others. She has amazing drive!" The Topsail Island Chamber of Commerce is located at 13775 Hwy 210, Surf City, NC. It hosts many events and promotions throughout the year including the Topsail Island Jeep Week, Tag Party, Business After Hours and more. It also serves as a one stop shop for people interested in visiting, relocating or starting a business in the area. In recent and surprising news, Lewis Realty Associates, Inc. President Chris Rackley announced on Friday in a close door meeting that the local Real Estate and Vacation company had reached an agreement to purchased the soon to be decommissioned Swing Bridge in Surf City. The negotiations have been on going for several years since the announcement from the NCDOT of construction of the new high rise in Surf City while state and city officials pondered about what to do with the remnants of the swing bridge. "When you think of Surf City, you think of two things, the swing bridge and Lewis Realty. It only makes sense for the bridge to be the next purchase of the fast growing real estate company. While at first we were going to make a museum of the bridge we have recently decided on some other plans . The bridge will be painted bright yellow (our company color) , have a giant Blue Heron placed on top and stay erected in it's place. 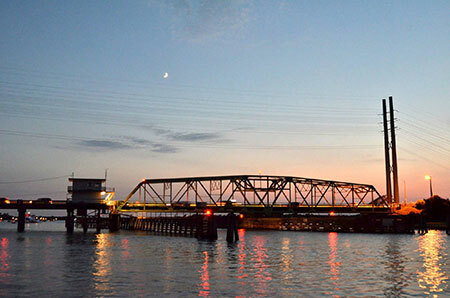 The bridge will be utilized for Lewis Realty staff, guests and sales clients private access to the island. This will serve us well as we will be able to beat the 4th of July traffic with our own bridge and since it will be private there will be no speed traps by the Surf City Police department. And of course, this will be a huge tax write off and as President Donald Trump says "it just makes us smart". We may also consider allowing town officials access on several contingencies; they are able to secure beach re-nourishment while dropping the property tax rate not to mention building an exclusive Jeep beach park" , said Rackley in the recent press release. Lewis Realty guests will be able to use the swing bridge being named the Lewis Realty Yellow Brick Bridge by 2018 and will be provided an exclusive fast pass decal for their car to gain access. Lewis Realty will also grant fast pass access to Ginger Haired Women. Enforcement of access will be provided by real pirates stationed at each entranced and along side the bridge in their cannon laden pirate ship. Rackley plans to have property manager Jessie Moore relocated to the Lewis Realty Bridge Works Department to serve as Bridge Tender allowing boats to pass as they come along the intracoastal water way if she sees fit to allow them to pass. Rackley also further added, "This is a win-win for everyone in Surf City. Other companies clients can view the bridge they have grown to love from a far distance and our clients will continue to receive the best service on the island with private access to the island". While booking and sales are sure to increase with this recent news we encourage all to view our Topsail Area for sale properties or Book a Topsail Vacation rental before it is too late. Lewis Realty Associates, Inc., a local Topsail Island leader in real estate technology, has recently introduced Virtual Reality for their vacation rentals and sales properties in December 2015. Lewis Realty handles a large inventory of vacation rental homes and properties for sale. Quite often a question arises such as, "where is the master suite?" or "where is the children's bedroom in connection with the rest of the property?" The answers are difficult for the consumers to visualize until they can personally view the property. Chris Rackley, president of Lewis Realty, has always been at the forefront of the latest technology and being a veteran of the local real estate market, he began looking for a more modern solution to assisting the consumer with a "visual aid". After researching the newest technology, Rackley decided to partner with Matterport from Mountain View, CA. Matterport provides a state of the art motorized "robot" camera complete with multiple lens and infrared sensors that creates a virtual HD 3D model of a property. It allows the user to virtually walk through every square inch of a property and allows them to zoom out to view in "dollhouse" or floor plan modes. The user is able to see how each room is situated within the rest of the property as well as being able to see even the finest of detail while taking the virtual walk through. "This is not to be confused with the boiler plate virtual tour that many companies have been offering for years. This is true immersion into the home from anywhere in the world and it is not an inexpensive technology; however, we strive to be the first in utilizing the latest technology for our real estate company," said Rackley. While the technology provides a solution for traditional computer and mobile device users to visit the homes virtually; the 3D models true power comes with a new and growing consumer technology in the form of devices such as Samsung's Gear VR Headset or the Occolous Rift Headset. This provides the user a true "out of science fiction" view placing the user inside the home. Lewis Realty is working toward a complete roll out of this new technology on each of its vacation rentals and has also started creating models for some of its higher end sales properties. Lewis Realty has been a leader in real estate technology in the Topsail area since the mid 90's . Most recently Lewis Realty was the first real estate company in the area to obtain a FAA Exemption to use "drones" for real estate after several years of pioneering research locally. In a past blog post , Lewis Realty Associates, Inc announced that it was petitioning the FAA under Section 333 of the FAA Modernization Act of 2012 to fly "drones" to market real estate listings and area tourist attractions in late January of 2015. After six months and a request for additional information, the FAA has given Lewis Realty Associates, Inc and President Chris Rackley an exemption to utilize the new technology in the Topsail Island real estate market. Rackley must obtain at least a Sport Pilot license (for traditional aircraft) before flying and employ a visual observer. Understand that all Traditional Aircraft will always have the Right of Way. Flight Restrictions on Distance From Airports. Keep a maintenance log on the UAV. 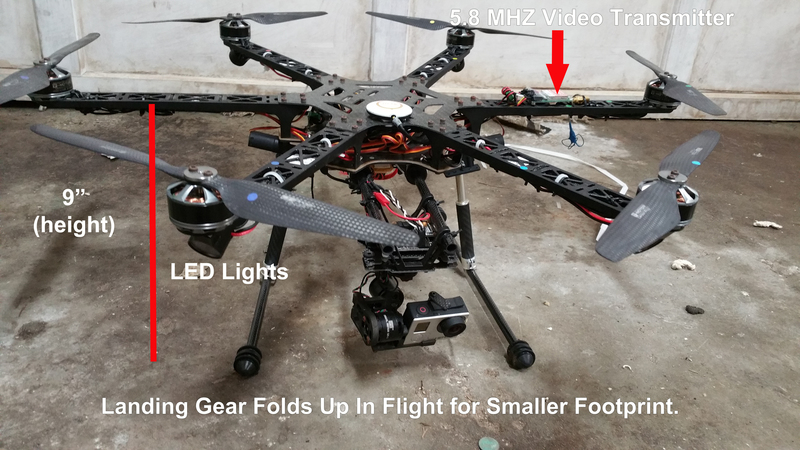 Will be subjected to Inspections by FAA and provide reports upon request. The FAA was founded to provide air safety and benefits to the public. In the FAA's effort to fulfill their founding principles they only offer exemptions or permission to use "drones" with certain circumstances. Lewis Realty Associates, Inc was the first real estate company in North Carolina to ask for the exemption but they were the third real estate agent/company to gain the exemption. Two others gained an exemption in other parts of the state in May and June of 2015. The FAA has been attempting to speed up the exemption process and are able to offer exemptions faster on mass produced drones. Lewis Realty Associates, Inc uses a custom built proprietary UAV (unmanned aircraft) of which the FAA rightfully requested additional information and specifications. Rackley is currently eager to fly commercially and said, "Once I received the email from the FAA with the exemption, I immediately began googling flight schools in the area to fulfill one of the requirements [pilot's license]. I am very excited as aviation and cutting edge technology has always been a passion of mine and this is a perfect blend. This will also enhance our already innovative marketing to our clients and customers.". Lewis Realty Associates, Inc. is one of the leading real estate companies in the Topsail Island market handling real estate sales, large inventory of vacation rentals and long term rentals. The company is also the second oldest on the island with over 50 years of history serving the public. On Sunday February 15th, 2015 the FAA released it's current proposal for "drones" or UAVs in the National Airspace for commercial use. 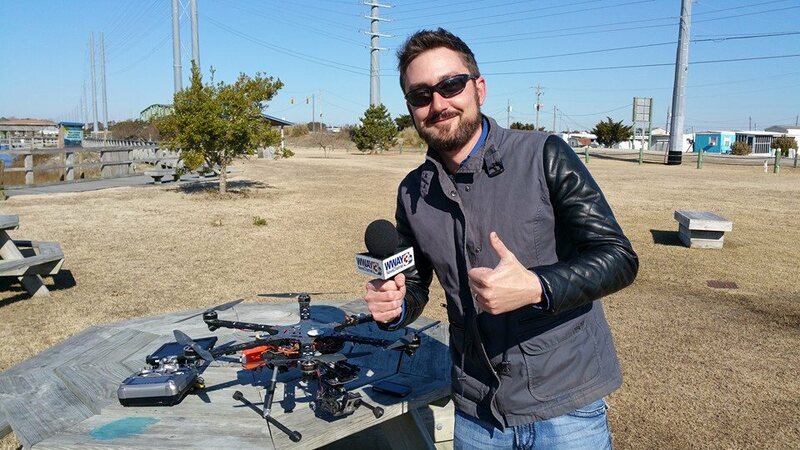 Lewis Realty has previously filed an exemption to fly it's hexacopter to take photos and videos of homes and the general Topsail Island area. While the rules will take at least a year to become law, Chris Rackley, President of Lewis Realty applaudes the FAA in a common sense approach to a budding industry. WWAY TV 3 came back to the island to interview Rackley on his views on the new proposals. The interview is below and the proposal summary along with an Executive Order from President Obama concerning Privacy and UAV is available for download. More In Depth Talk About the FAA Proposed Policy and REALTORS By Chris Rackley, President of Lewis Realty Associates, Inc.
We have been reading and hearing that a few Topsail Island real estate owners have received Consent To Rate Letter from their insurance companies. A consent to rate letter basically means that unless you agree to pay the new rates (higher) the insurance company may cancel your insurance and leave you unprotected. This can cause an avalanche of issues with your bank loan and of course if there is a peril to the property. 1. Review your current policy to see if the deductible is too low (driving cost up), the right amount of coverage or any other changes that may help drop the cost of your insurance. 2. Call your insurance company or brokerage. Many owners here in the Topsail area have saved considerable amounts of money by tweaking their coverages. 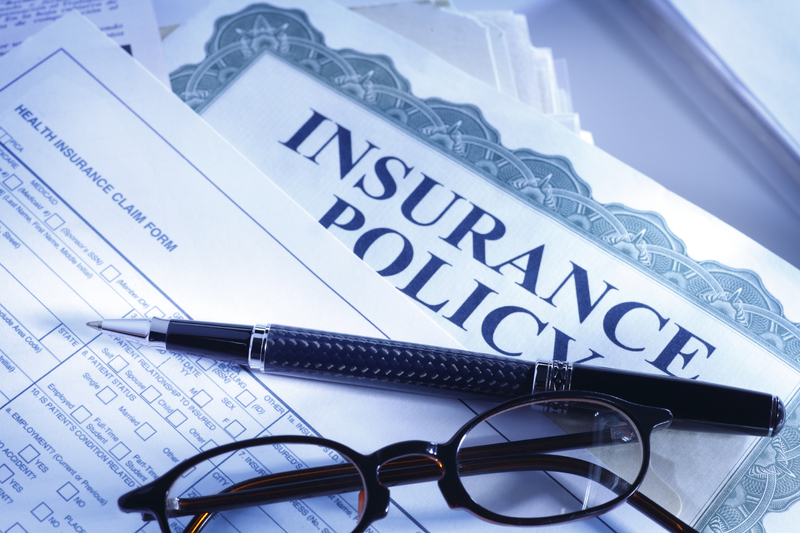 Your insurance agent should know all the ins and outs to get you the best coverage at the lowest rate. 3. Shop your coverage - It's not fun but now may be the time to shop your coverage taking proposals from other insurance companies or brokers to see if there is a more economical solution in the insurance market for you. In general you should be doing following these tips each year but especially if you have received a Consent to Rate letter. Not Insurance Advice - Contact Your Insurance Company or Agent. Waterfront property is the most sought after location, location, location of real estate especially in our market here at Topsail Island, NC. But with any new endeavor there are things to consider and not to surprise you, buying coastal property comes with its own implications and processes to help ensure a wise investment. Can you build?? You or your agent needs to verify that all setbacks, restrictions and flood zoning will indeed allow you to build the home of your dreams. Much of the regulations in North Carolina come from CAMA, a state agency, that rules on how or what we can build on Topsail. For example, oceanfront property must be built beyond the Cama buffer or 60' from the stable line of vegetation. A surveyor and the Cama officer will be able to help determined if there is enough land beyond the buffer to build. The Structure Itself? Being in a salt environment and on the coast, homes at Topsail Island are subjected to abnormal conditions. Be sure to inspect the home for all flood requirements, HVAC systems, siding or window issues to name just a few. Insurance? If the home is located in a flood zone and you are getting a loan you will be required to purchase flood insurance. Rates are dramatically different sometimes from house to house depending on zoning, elevation, house height and construction. Confirm the flood zone, gain an elevation certificate and get quotes from insurance company to help make sure there are no surprises. Maintenance Costs? The salt air and wind are tough on homes. Have a home inspector or contractor inspect the property for maintenance that may be needed. Also if the home is on a rental program you can request copies of the work orders to get an idea of what has been performed. 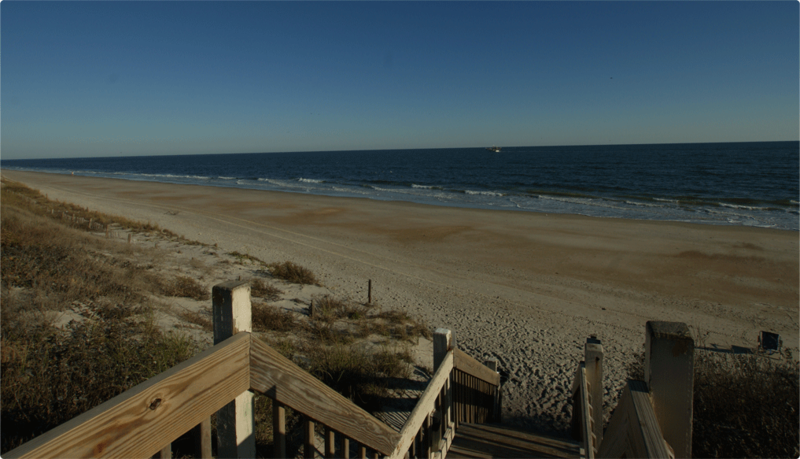 Typically oceanfront homes require more maintenance than any other on Topsail Island. What precautions should be taken? Do you have children or pets? If so, you may want to think of a way to make sure they cannot make it to the water unattended. How about the boat house area? Are objects stored high so that if there are flood waters they will not float away? Waterfront property on Topsail Island is great and sure to be a sound investment with lasting memories if you are prepared and knowledgeable in the purchase process. Our agents have sold many waterfront properties and strive to stay on top of all the implications, contact one today if you think local knowledge is beneficial to you! Over the past three years, Chris Rackley, President of Lewis Realty Associates, Inc, has been searching for a viable platform for aerial photography that did not involve a traditional aircraft. His hope was to one day use it in the real estate business at Topsail Island, NC. In the beginning, the technology was barely there. It took several attempts of different UAVs and setups to find a solution that was safe, viable and produced consistent results. Chris stated, "We I begun flying around the island as a hobby I was the only person with this type of aircraft. It as changed dramatically over the last three years or so with several people in the area flying." "Drones" are the haphazard name the public recognizes for odd looking quadcopters (4 blades), hexacopters (6 blades - see photo of Chris' "drone") and octocopters(8 blades) along with other UAS type machines. The word "drone" creates an image of a menancing missle laden machines set on destruction mode although that really is not the case. "Drones" could be used for search and rescue, real estate marketing, surveying, research, etc. They really are the wave of the future. The "drone" in the photo is Chris'. 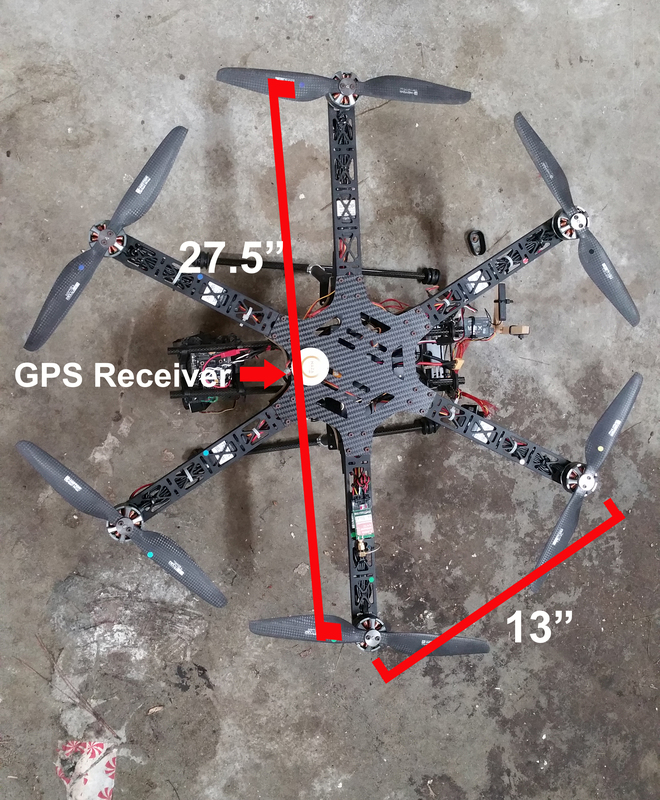 It is a custom hexacopter with 6 12" props, gps flight controller (flight is aided by GPS), 3 axis camera gimbal (keeps camera level and allows control of camera from the ground while in flight), video transmitter (so the pilot can see what the drone sees on a screen), retractable landing gear to give the camera a 360 degree view with no obstructions. The hexacopter also has many safety features with a return to home autonomously in the event of low battery or emergency, hover mode (requires no pilot input to hover in place), several LED beacon lights for visibility and even a gps enabled flight restriction (prevents flying too close to an airport). Chris further added, "I was held back from actually using the technology in our business by a FAA policy that prohibited commercial use of RC aircraft. Although some people were able to fly below the radar of the FAA it just never seemed to be a risk I was interested in taking." The use of "drones" or UAVs for any commercial use is not permitted by the FAA of the United States since the technology trend has surpassed the current regulations. However, the FAA has begun moving forward with petition's for exemption under Section 333 of the FAA Modernization & Reform Act of 2012. Companies like Amazon, Google and others have already file for exemptions. Early in January 2015 a Realtor in Arizona, Doug Trudeau, was granted an exemption to fly his small drone to use in promoting the community and real estate listings. This was huge news because he was a small business! Chris through his company Lewis Realty Associates, Inc began investigating the petition process and what rules he would need to be exempt from. On January 26, 2015, we successfully submitted a petition to the FAA for permission to fly our 3.3 pound hexacopter in connection with the real estate business. The FAA website advises that it could take up to six months to have a decision. It appears most likely Rackley will have to obtain a pilot's license to meet the regulations if the petition is approved. Meanwhile Rackley can only fly for fun which is not a bad thing at all! Lewis Realty has always strived to stay on top of technology with internet marketing, advanced office systems and hopefully in a few months will be taking to the air in Topsail Island!! Lewis Realty Associates, Inc. is pleased to announced that they have added Linda Manning to the sales team serving the Topsail Island area. 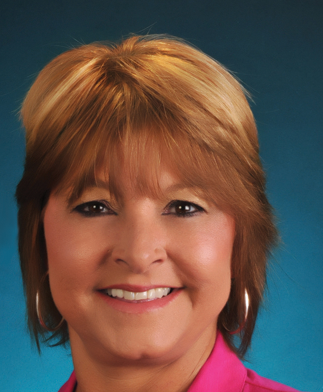 Linda brings vast sales and negotiating experience ranging from representing farmers in the tobacco industry, office equipment sales, real estate land sales and marketing to most recently the former Lewis Realty Associates, Inc. property manager. Chris Rackley, President of Lewis Realty said, "We recruit Linda originally as the property manager but knew with her vast sales experience that she would fit into our sales team somewhere in the future. I am very excited that she was interested in moving to the real estate sales team for 2015." Linda has a drive to succeed like no other and makes your goals her goals. A very recent past client of Linda's stated "She wanted everything done to perfection". Contact Linda if you are looking for someone who listens to understand your goals and then goes to work for you with success in mind as the end result. In a recent Star News Article, I learned that once again the Town of Topsail Beach, NC is considering paid parking to raise revenues. This was also considered back in 2013 but thankfully did not come to pass. 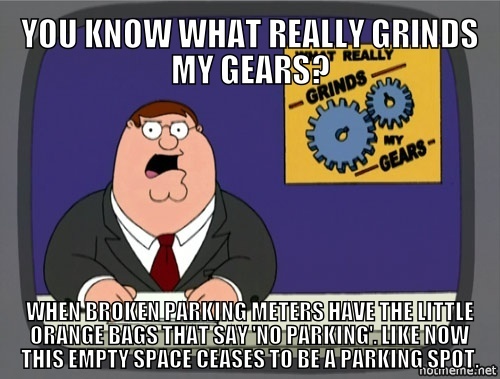 Don't get me wrong, paid parking is not evil. It is needed in some areas, New York City, LA, and yes probably even Wrightsville Beach, NC among any other area where visitors exceed parking spaces but still continue to come. But not in Topsail Beach, NC!! Let's take Wrightsville Beach for example - they have had paid parking for years. Has it been a bad thing? No. Why not? Because Wrightsville Beach is the ONLY choice for beach go'ers in that area of Wilmington, NC. Topsail Beach is a long ride to the south end of Topsail Island. It is not easily accessible, it is not a "pass through" area. It is a destination that offers the beach and the ocean, same as the two other towns on the island (not to say Topsail Beach does not have a great personality, I love it!). But are "day trippers" or "beach go'ers" going to continue to travel to the south end, passing the beach and free parking in Surf City and North Topsail Beach to go to Topsail Beach and pay to park? No. The already very low traffic flow will disappear very fast and the local businesses in the town will be affected from the lack of traffic. There goes people's hard work in their businesses and the town's revenue from the local businesses. So without becoming an economist, it's easy to theorize that what revenue will be raised from the paid parking will be offset with the revenue lost from local businesses. Topsail Beach has done some great things in recent years with a new town marina, parking area at the south tip, beach restoration and expanded water capabilities to just name a few off the top of my head. I understand they must need some additional revenue. There has to be other ways without decreasing the town's one industry . .Tourism. I will say it again . . .I love Topsail Beach, I really do, but I must disagree with this idea and say emphatically DO NOT DO IT!! I encourage everyone to voice your opinion on the matter whether in agreement or disagreement.